Thanks for your interest in the Aberdeen Chamber Orchestra. Please leave your message below. The Aberdeen Chamber Orchestra was founded in 1982 by a group of friends who had known each other at school and university in the city. The idea was to promote a small-scale concert for the enjoyment of the players, friends and relatives. The concert was such a success that the members decided that they wanted to meet again and thus the Chamber Orchestra was born. 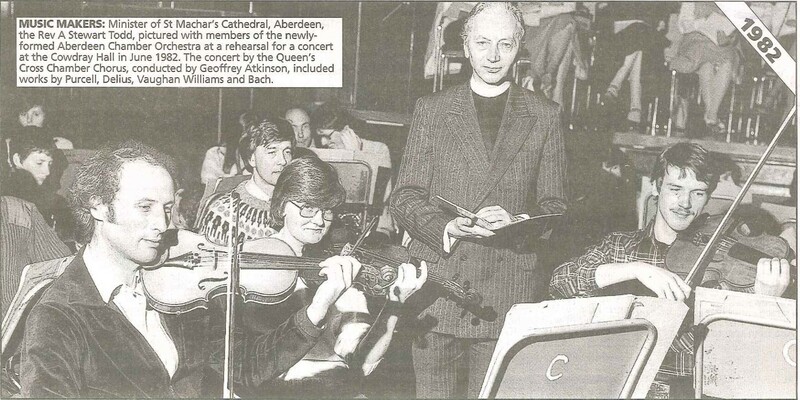 Since then, the ACO has gone on to establish itself at the forefront of amateur orchestral playing in Aberdeen. In its earlier days, the ACO restricted itself to the smaller classical orchestral works, with the occasional brave excursion into the Romantic. There was no permanent conductor and the committee decided whom to invite as conductor for each concert. There were, and still are, a number of excellent orchestral conductors in the region, but this approach did not produce the consistency and growth that the members were looking for. However, after a particularly successful series of concerts in the year 2000, it was proposed that the orchestra should have a formal constitution and an established conductor. We were fortunate that Gareth John was available and willing to take on the task, and at the same time, Julian Marx became the leader. These moves established a firmer basis for the ACO, produced stability, and allowed us to plan our concerts well ahead. It also encouraged a more adventurous approach to programming, so that the orchestra’s repertoire can now claim to be fully symphonic, with recent programmes including major symphonies by Borodin and Dvorak, as well as the performance of concertos for piano, flute and violin, and operatic excerpts. The ACO has established a close relationship with the Royal Conservatoire of Scotland in Glasgow, who have provided us with a number of excellent soloists, and we hope to be able to continue to provide performance opportunities in Aberdeen for RCS students and postgraduates. Currently, the ACO promotes an average of 3 concerts a year in the Aberdeen area. At least 5 rehearsals are required before each concert, as well as a considerable amount of preparatory work on musical scores. The programmes are selected by the orchestra management committee, working in conjunction with the conductor. The orchestra is currently able to support itself financially through a combination of ticket receipts and donations from several sponsors. Membership is by invitation of the committee and is entirely voluntary. Members of the orchestra also occasionally perform in ad-hoc groups to support charitable activities. Jean Fletcher comes from a highly musical family; born in Yorkshire, she studied the violin with Eta Cohen and then at the RCM in London with Hugh Bean and Frederick Grinke. She led the Heller String Quartet in Bermuda. The Hellers were the first quartet to be invited by Sir Yehudi Menuhin to go to Bermuda to set up a string teaching programme and to be involved in the musical activities on the island. Jean later became Principal number 2 violin with the Ulster Orchestra before taking up a teaching position in her home town of Doncaster. In 2006 Jean moved to Aberdeenshire in Scotland where she teaches in schools, is leader of the 2 nd violins with the Aberdeen Sinfonietta and leader of the Aberdeen Chamber Orchestra. Jean was invited to be Concert Master of the Menuhin Foundation String Orchestra, playing in the Bermuda Festival in February 2016. The Heller Ensemble has been reformed in Aberdeenshire with Ruth Kalitski, Sandra Thompson, Gareth John and Blair Cargill. 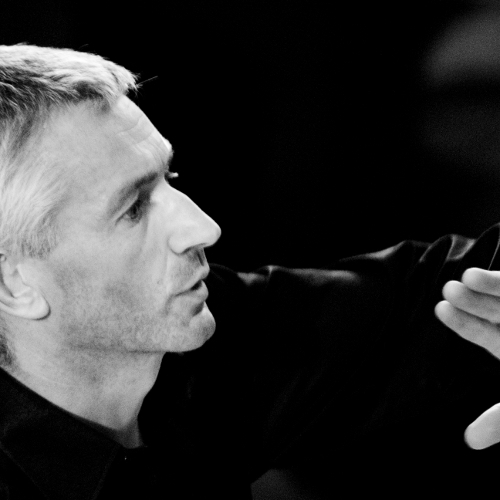 Gareth John was invited to become the first resident conductor of the Aberdeen Chamber Orchestra in 2000 after several guest appearances and as concerto soloist. He has conducted several youth orchestras (Glasgow University's Kelvin Ensemble, the North Wales Youth Orchestra, the National Youth String Orchestra of Scotland, the Training Schools of the National Children’s Orchestra of Scotland and the Repertoire Course of the National Youth Orchestra of Scotland). He has conducted Aberdeen Sinfonietta and was Music Director of the Welsh opera company, OPRACymru and, for 12 years, Director of the Deveron Festival in Banff. Gareth John received his first cello lessons from his father, Geraint, the cellist at the University of Wales, Aberystwyth and later with George Isaacs. He graduated with a Distinction in Performance at the Guildhall School of Music, London, studying with William Pleeth during which time he was awarded the Birdie Warshaw Prize and David Ffrançon Thomas Prize for Young Welsh Musicians. He now regularly appears as principal cellist with the leading North East Scotland orchestras as well as concerto soloist with the Aberdeen Sinfonietta and the Aberdeen Chamber Orchestra. As a chamber musician, he regularly performs in recital and has broadcast on BBC radio and S4C.